At Thornton Township, we realize that our residents must do more with less to provide for their families. 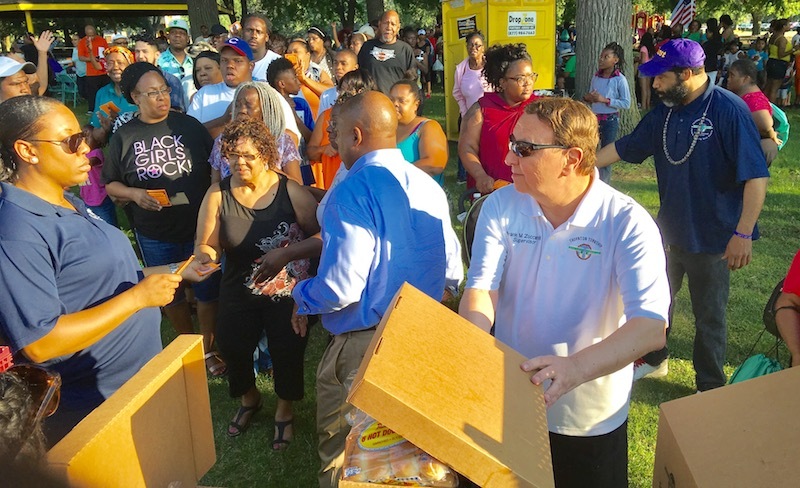 In order to help our citizens out, we provided free summer boxes at our Days in the Park event. Families received various food, snacks and beverages that provided a little relief during the summer. It is part of our initiative to continue helping our residents in the southland and Thornton Township in every way we can. 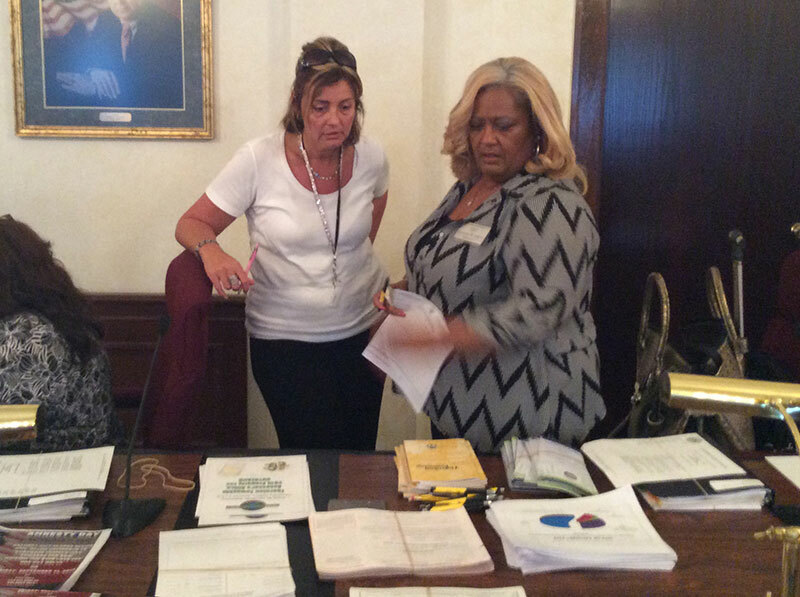 Thornton Township hosted free property tax assessment and property after death workshop at the township headquarters, 333 E. 162nd in South Holland. 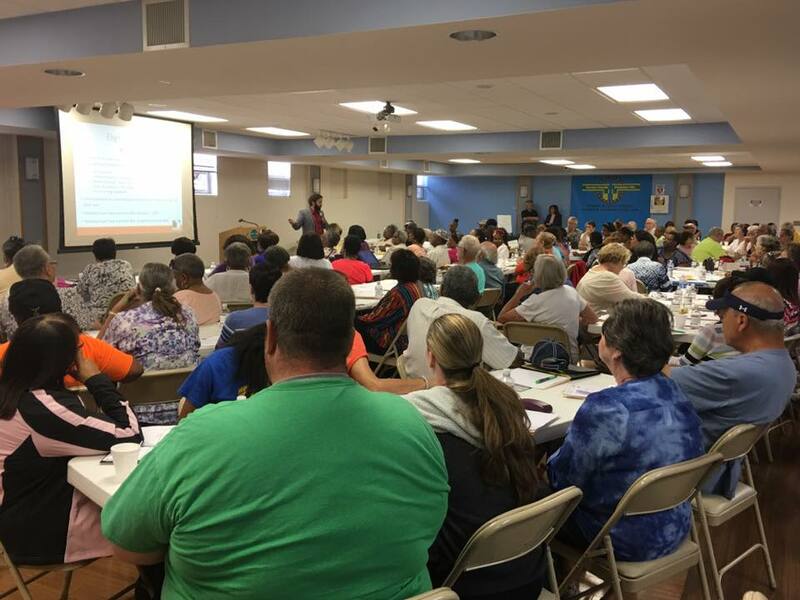 More than 220 residents learned about their upcoming homeowner assessment process that will begin in August and how to file tax appeals. In addition, residents learned how you can transfer their home, car, and bank account to loves ones for free without the need for a will, trust, legal fees or thousands of dollars in court costs. The Thornton Township Assessor’s Office schedule meetings throughout the year to explain the taxing process, how tax bills are calculated, the valuing of property, any updates in the filing of appeals, and provide detailed information regarding tax exemptions. Representatives from other governmental agencies, such as, the Cook County Assessor’s Office, Recorder of Deeds, and the Board of Review have supported our forums in providing valuable information on services available in assisting our residents in their taxing needs. 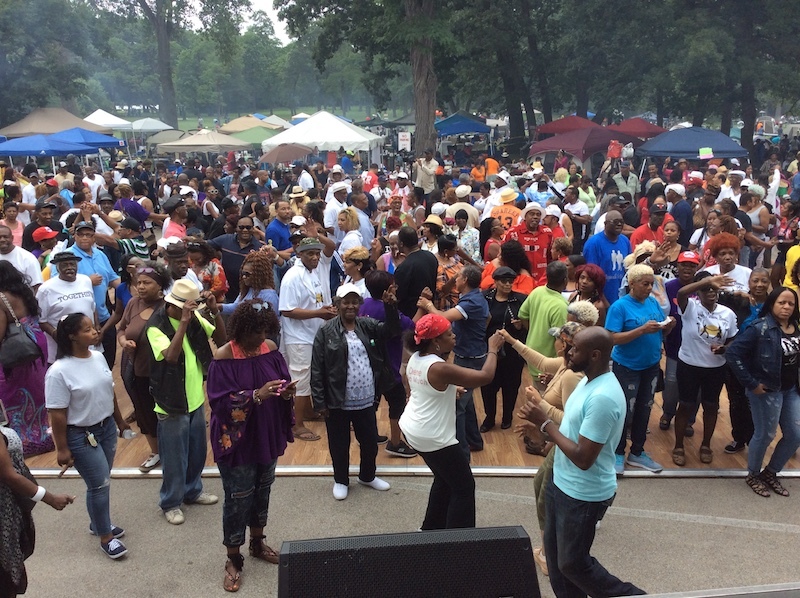 Thornton Township once again hosted its annual World’s Largest Stepper’s Family Cook out and BBQ. The sixth annual even took place at the Green Lake Forest Preserve, 159th and Torrence Ave. in Calumet City. Thousands of people attended. Thornton Township is hosting a free property tax assessment and property after death workshop at 11 a.m. Saturday, July 15. Taking place at the township headquarters, 333 E. 162nd in South Holland, resident can learn about their upcoming homeowner assessment process that will begin in August and how to file tax appeals. In addition, residents can learn how you can transfer their home, car, and bank account to loves ones for free without the need for a will, trust, legal fees or thousands of dollars in court costs. Thornton Township in conjunction with Fathers and Blessings sponsored the 2nd Annual Real Men Cook Event. The national event took place at the Dolton Park District. 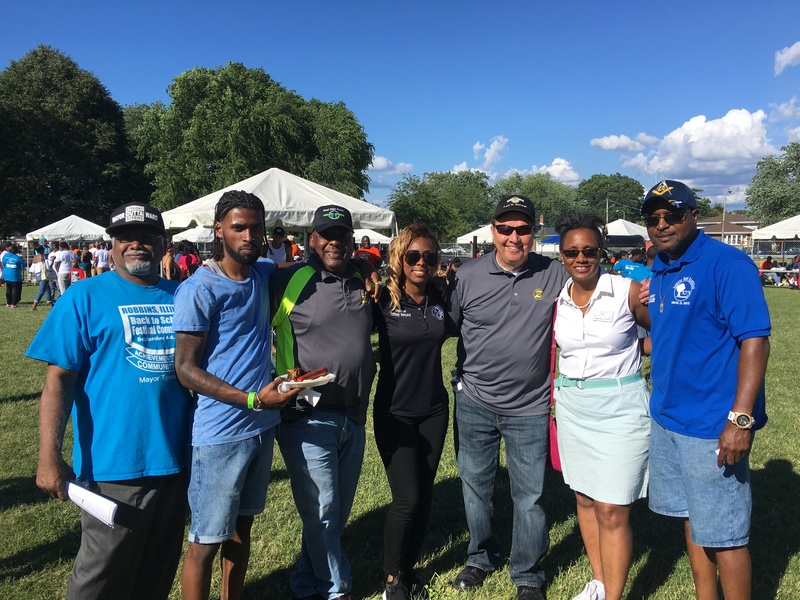 Ernst Lamothe Jr., Public and Community Relations Manager for Thornton Township said, “This event is a priority for Thornton Township and we recognize the local and national importance of this event. Not only is the event a family affair locally, it is also national. Communities across the South Suburbs are encouraged to participate,” said Lamothe. The township also gave out free Father’s Day hats to those who attended. An estimated 80 South Suburban communities have been targeted including the Chicagoland area. Cooks participating in the event and a guest will receive free entry into the event; annual Illinois South Suburbs Real Men Cook Father’s Day Celebration commemorative apron; coaching from veteran cooks; and a chance to participate in Judged Cook-off.